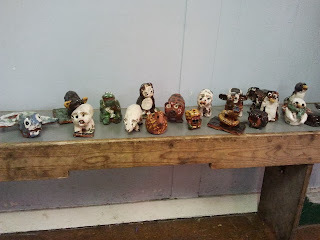 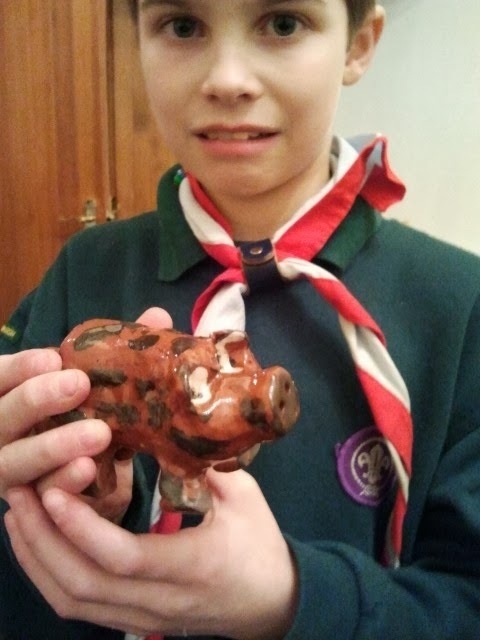 A few weeks ago we made pottery animals at Cubs. 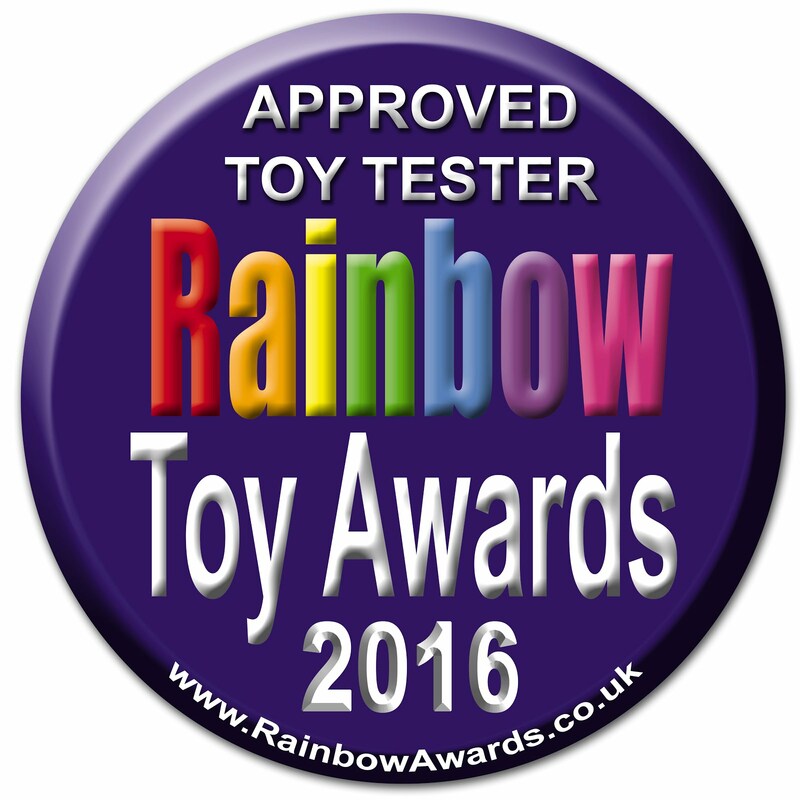 The clay models were taken away to be fired and we got that back this week. The Cubs all made fantastic models and the Eryl (the pottery teacher) was thrilled with them. 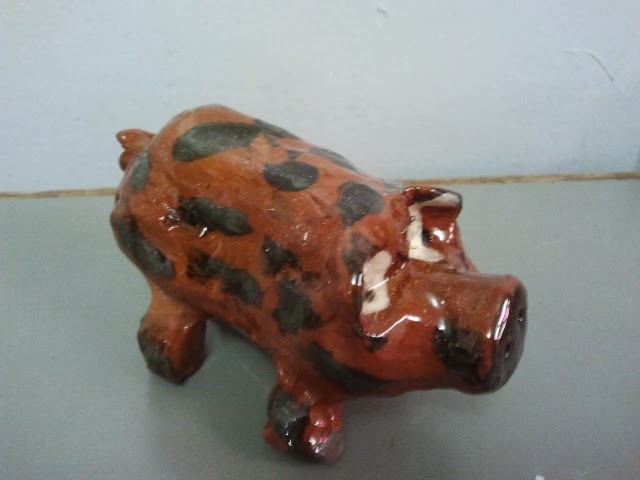 This is Luke's pig which I think is a brilliant model, considering he is only 8 years old. 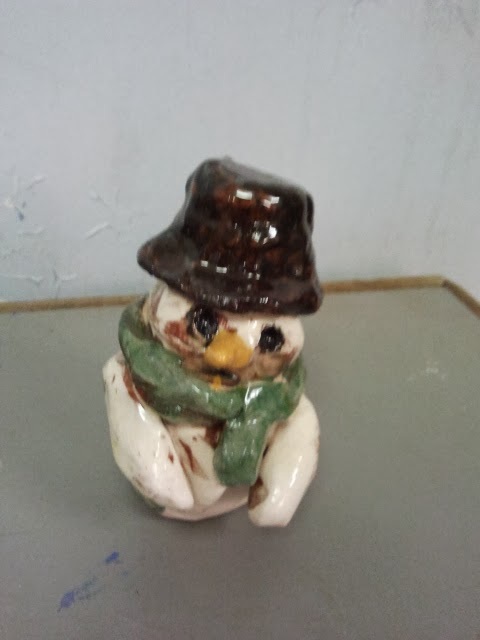 As well as the animals we also had a snowman which was very appropriate with Christmas fast approaching!